The New York Yankees and the Los Angeles Dodgers will continue their three-game set tonight in the Bronx with the middle game of the series. In the opener we watched two young guns make their second start of the season for their respective teams but tonight we will be entertained by a little veteran action as the New York Yankees send CC Sabathia to the mound to face off with the Dodgers starter Julio Urias. Another fun one to come it looks like in the Bronx. 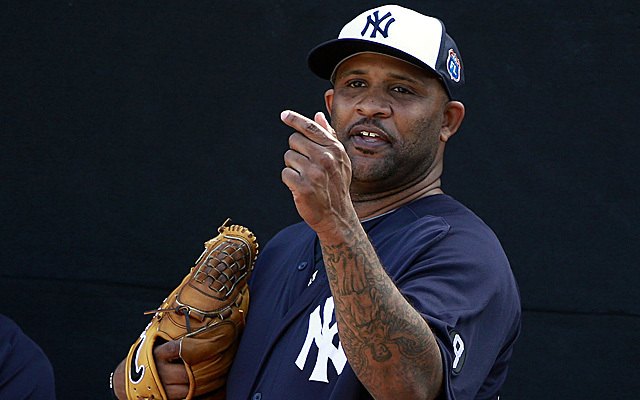 Sabathia has been a little to home run prone as of late for the Yankees liking as the left-hander has now allowed at least one home run in eight of his nine starts recently including giving up three solo home runs to the Tampa Bay Rays last time out. Sabathia lasted just four innings and threw 87 pitches though so he should be fresh for tonight’s start with the Dodgers. Urias is on an innings limit this season which is terrible news for Los Angeles since he has been one of their best pitchers. Urias was 4-0 in August with a 1.99 ERA and has won each of his last five decisions but the Dodgers need to make a tough decision. Rest the kid and limit his innings or place the importance of a pennant race ahead of his potential health. The game will be played at 7:05 pm ET inside Yankee Stadium and can be seen on the YES Network, MLB Network and MLB TV. It’s about time some national attention was paid to these games because it’s not every day, or every season or even every decade that these Dodgers come to town to face off with the Yankees. This is something special Yankees family and I don’t think enough attention is being paid to it. Oh well. As always, need a win. Get a win. Go Yankees!